At the beginning of 2017, BMW made a daring bet with itself that it would sell and deliver 100,000 units of its electrified models to customers worldwide by the end of the year. Well, the time has come to announce that the goal has been reached and the Bavarian manufacturer marked the occasion in a special way. 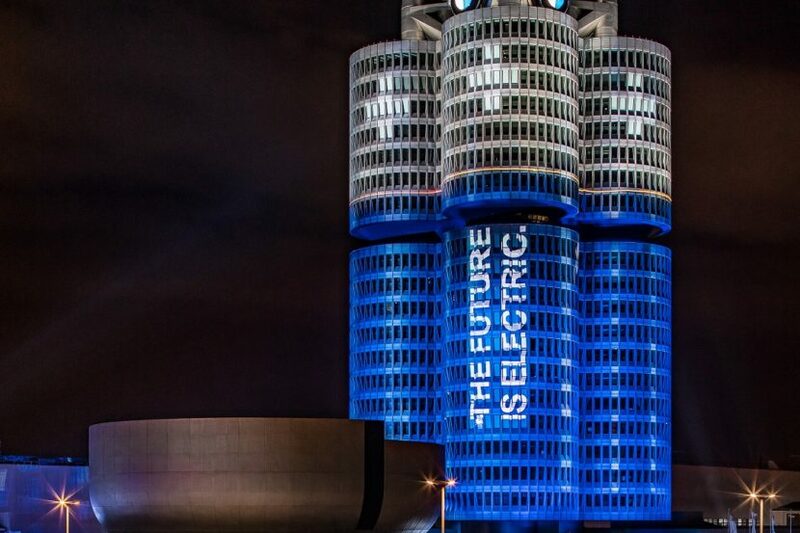 At the BMW Group HQ in Munich, the famous four cylinders of the building were transformed into batteries, to show the commitment the Germans have towards the future. 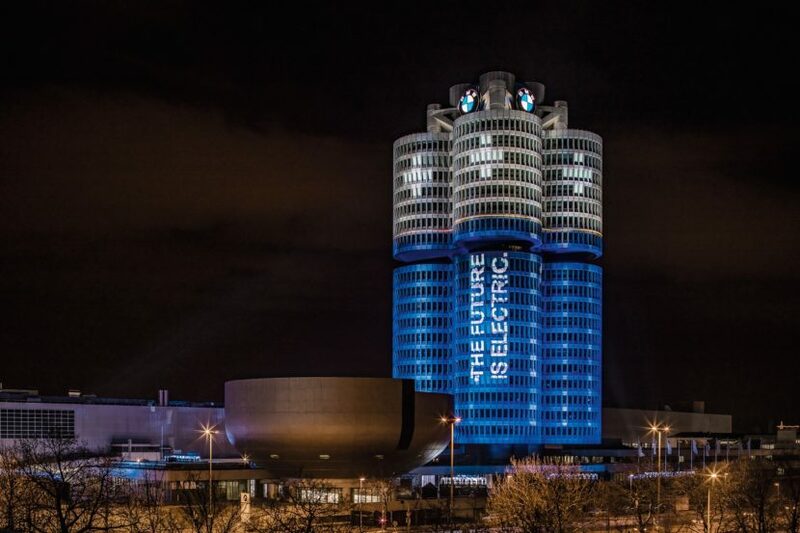 To celebrate this important milestone, the iconic BMW “Four-Cylinder” headquarters tower is being transformed by a lighting installation into four upright batteries, representing the forward thinking which is a fundamental part of BMW’s DNA. The special illumination will be projected onto the building today from 8:00 p.m. until midnight (CET). The project was implemented in collaboration with the cultural organization Spielmotor Muenchen. By 2025, the company will offer 25 fully electric and plug-in hybrid models worldwide. The fifth generation of electric drive train and battery technology, available from 2021, uses scalable, modular electrification kits that will allow all model series to be fitted with every type of drive train. For its BMW i electric brand, which was founded in 2011, the company has already secured the naming rights from BMW i1 to i9, as well as from BMW iX1 to iX9. Next year will see the launch of the i8 Roadster, followed in 2019 by a fully electric MINI. In 2020 we’ll get to see the electric version of the X3 and in 2021 by the brand’s new technology flagship, the BMW iNext, which will combine electro-mobility with autonomous driving and new interior connectivity options for the first time in a series-production model. 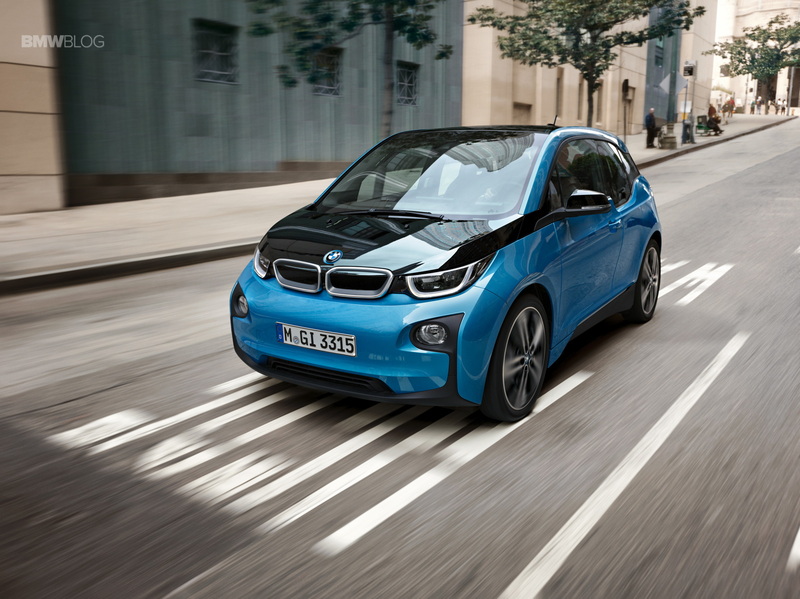 Thanks to its early focus on EVs, the BMW Group has already achieved a leading position in the electrified vehicles market. According to the independent POLK/IHS Report (published on 7 Dec. 2017), the BMW Group has a clear lead over its competitors when it comes to registrations of new fully-electric and plug-in hybrid vehicles in Europe, with a market share of 21 per cent. This means the share of the electrified vehicle segment is more than three times its share of the market for traditional models. 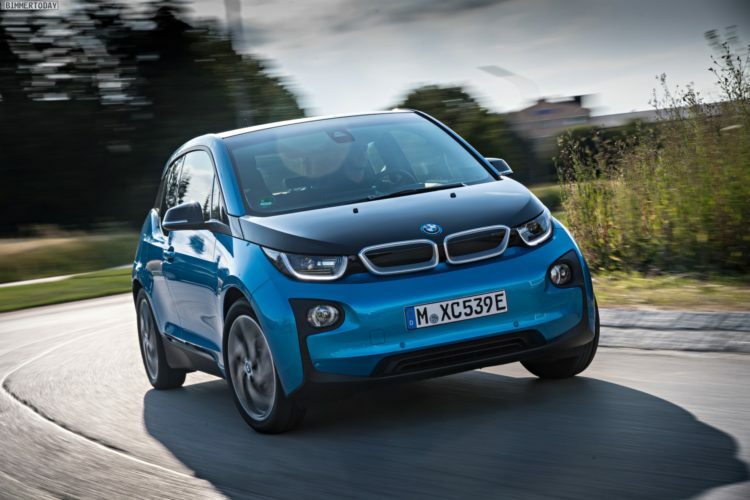 While electrified vehicles now account for two per cent of new vehicle registrations across all manufacturers in Europe, the BMW figure is already six per cent. The company’s position is similarly strong when it comes to the worldwide market with a 10% share of the global electrified vehicle market.